Record AirPlay audio on macOS. Is there a better alternative to AirRecord? Is AirRecord really the best app in Music category? Will AirRecord work good on macOS 10.13.4? 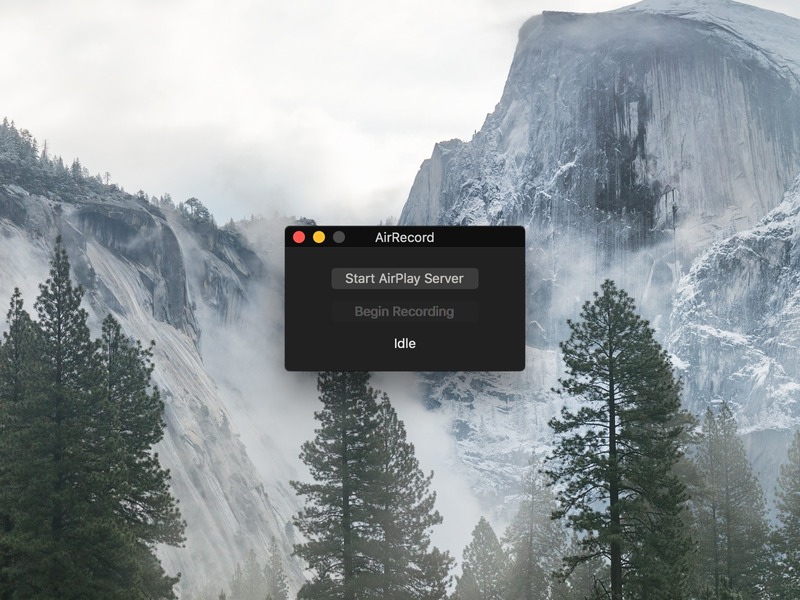 AirRecord makes it easy to record AirPlay audio on macOS. Simply start AirRecord, run its AirPlay server, and begin recording! Any audio you stream from devices running iOS, or even other Macs, will get recorded as a high-qualtity m4a/aac file. AirRecord plays through any audio you stream to give you audible feedback, and you can even quickly control recording with keyboard shortcuts. AirRecord needs a review. Be the first to review this app and get the discussion started! AirRecord needs a rating. Be the first to rate this app and get the discussion started!